It’s that time again…sharing time. September means back to school, and back to school means sharing all sorts of things – knowledge, toys, germs, and yes, recipes. Do you pack a great lunch or have a super simple dinner-in-a-hurry recipe that you revisit every fall? Lay it on us. What are you doing with all those apples? Making tasty fritters? We need to know. Post your favorite September recipe in the comment section below, and you’ll be in the running to win a produce basket from participating GrowRVA farms, filled with the market’s freshest and best. 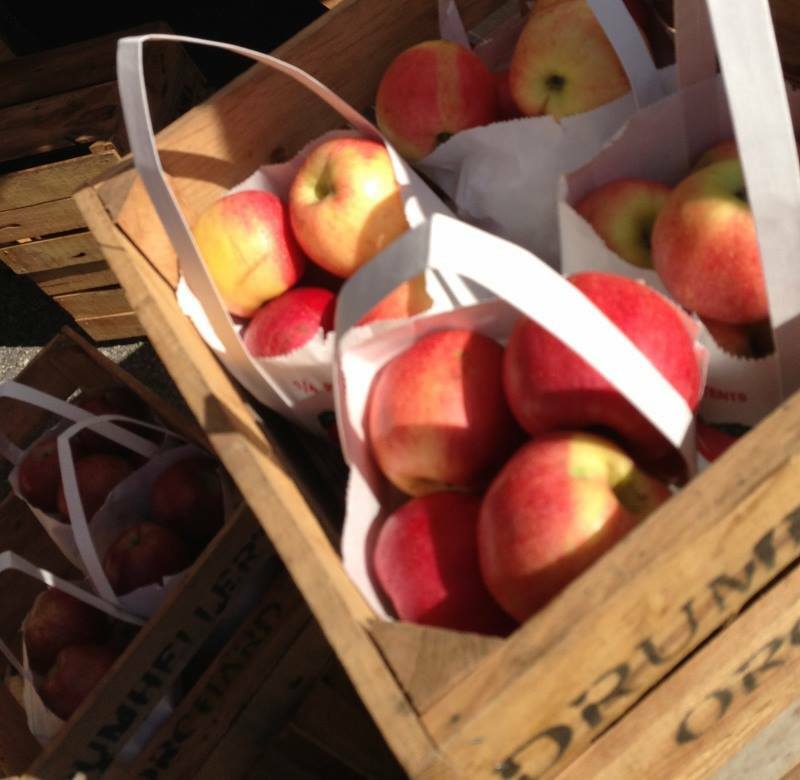 September is an odd time at the market, a transitional time for many crops. 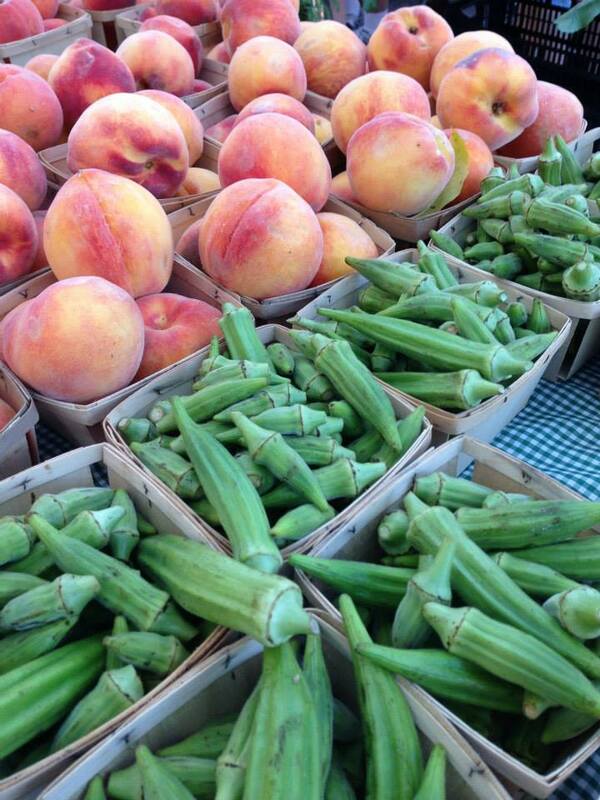 You can still find a few vestiges of the hot summer months, like raspberries, peaches, peppers, and okra. But now kale and collards are coming on, and heartier squashes like butternut and spaghetti squash are showing up on the market tables. And apples. It’s apple time. Recipes don’t have to be original, but please reference the original source if possible. The winner must claim his or her prize within 7 days of being announced, or a new winner will be determined. Winner must retrieve his or her prize from one of the participating GrowRVA markets at a scheduled time. Okra is my all time fav! I miss all the fresh okra during the summer! Like many, I have a love-hate relationship with okra – I’m curious what your go-to okra recipe is! I often cook it as a curry with masala or something of the like-the stickiness of the okra gives just the right consistency. I also love a good southern style okra cooked with tomatoes as a rice dish, or fried in with fried potatoes! These look great – I can’t wait to try the peppers! Congratulations, Anna R, you’re this month’s winner! Send a message to our facebook page, and we’ll set up a time to give you your basket. Thanks for the recipes! My favorite seasonal fall food is butternut squash. This recipe harnesses its delicious flavor by first roasting it in the oven with olive oil to caramelize its sugars. Then it is mixed into a type of bechamel sauce and baked again into a lasagna with fragrant rosemary, Parmesan, and cream. Luscious and rich, it is the best thing I have ever made and one of the best things I have ever tasted. The original recipe came from a cooking magazine which I’ve altered slightly. Preheat oven to 425. Lightly grease a baking sheet. Rub squash with oil and sprinkle with salt. Roast cut side down until you can easily pierce the back of the squash with a fork. Reduce oven to 375. Set aside and cool. When you can work with it, scoop the squash out from the peel. In a large saucepan,heat butter over medium heat. Add garlic; cook and stir for 1 minute. Stir in flour and gradually stir in milk. Cool and stir until thickened and bubbly. This will probably take 15-20 minutes, so be patient. Stir in squash and rosemary. Lightly grease a 13 x 9-inch baking dish or 3 qt. casserole. Spread about 1 c. of the sauce in the baking dish. Layer 3 of the noodles in dish. Spread with 1/3 of the Parmesan cheese. Repeat layering noodles,sauce, and Parmesan cheese 2 more times. Pour whipping cream evenly over layers in dish. Sprinkle with remaining 1/3 c. Parmesan cheese. Cover with foil. Bake for 40 minutes. Uncover and bake about 10 minutes more until edges are bubbly and top is lightly browned. Let stand for 10 minutes before serving. Thanks for the recipe – sounds like the perfect dish for feeding a crowd! But I like to add more spice as well as carrots and turnips. This is my favorite recipe for greens particularly kale from Emeril Lagasse with a few changes I like to make subbing cider vinegar for rice wine vinegar and dark instead of light brown sugar. You can use any brown ale that you like but I find that Bells Best Brown in combination with the other changes evokes the taste of maple syrup. In a large pot, saute the bacon until slightly crisp. Add the onions and season with salt, pepper and cayenne pepper. Cook 6 to 7 minutes, until the onions are wilted and golden. Add the brown sugar and stir to dissolve. Add the shallots and garlic. Cook for 2 minutes. Add the water and vinegar and mix well. Begin adding the greens, a third at a time, pressing them down as they begin to wilt. Season with salt and pepper. Reduce the heat to medium-low and cook, uncovered, until the greens are soft, about 1 hour and 15 minutes. Serve hot.